The Nike FI Impact golf shoes redefine comfort with Nike "Free Inspired" technology. The free-inspired outsole has flex grooves and integrated traction for the most comfortable fit possible. Nike FI Impact golf shoes feature a breathable mesh upper and molded sockliner. Very comfortable shoe. Sometimes I forget to take them off after around of golf because they're so comfortable. This is the second pair I've bought. This company has to be one that defines customer service! This is the second pair of this shoe I have bought for my husband and he really likes it. 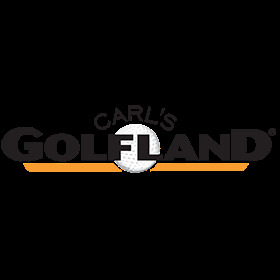 Will check with Carl's Golfland for future purchases! Thanks! I love these shoes. This is my second pair. Great walking shoes with great traction! I walk 90% of my rounds and I needed a shoe that would provide me with all day support, comfort and traction. These shoes fit the bill...after five rounds walking they have been absolutely incredible! Right out of the box they were comfortable. These shoes are perfect for all golfers and come at a great price.